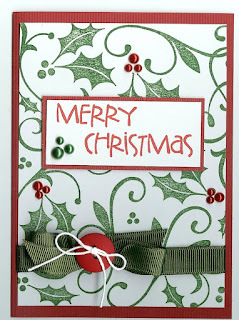 I have been designing some more Christmas cards for my card classes at Create on Garden. Got my hands on some of the gorgeous new Hero Arts stamps, and here is the cards I will teach. 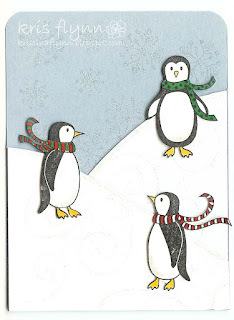 For this first card I used the HA Wooden stamp K5260 - Three Penguins, and cute the penguins out. Then I coloured in with Copic Markers and cut the card stock to look like 2 snow covered hills, to create 2 flaps that open up. I used the snow flake stamps from HA CL357 - Holiday Dolls. I stamped with a glue pad and then sprinked over glitter. 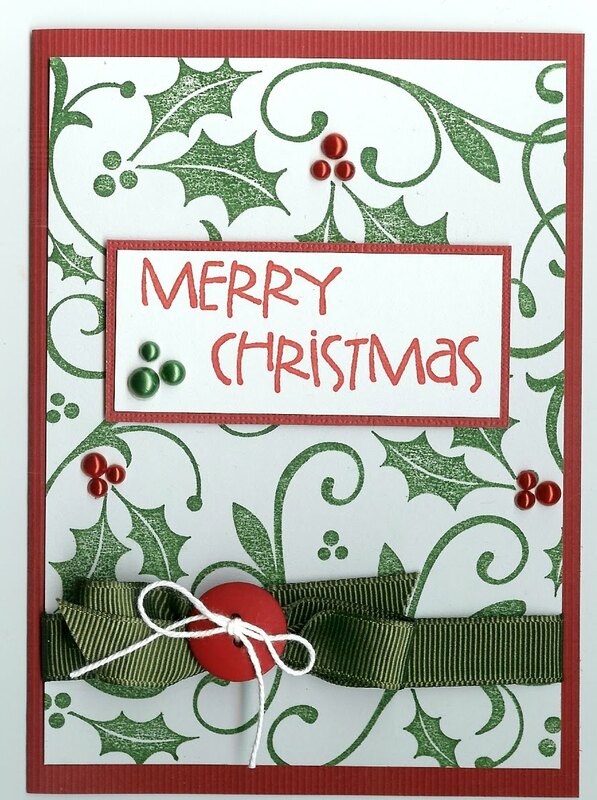 For this next card I used my old faithful HA Holly Flourish background stamp, and stamped it with Green ink onto white cardstock. Then I used red pearls from Kaisercraft for the holly berries. The ribbon is also from Kaisercraft. The red button I think is from Basic Grey. For the sentiment I used the Hero Arts set CL354 Let the Angels Sing. I cut the sentiment in half so that it is easier to play around with. 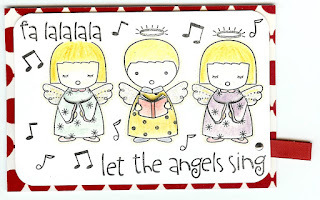 For my third card I wanted it to be all about the stamped images and used the super cute HA Cl354 let the Angles Sing set. I glittered the wings (of course) and colour in with watercolour pencils. The images are so cute and really do not need much added to them.